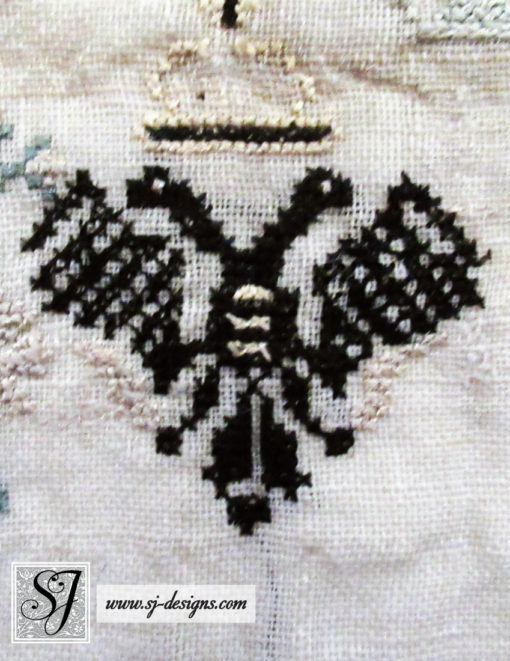 Worked in silk thread on fine evenweave linen, this sampler was finished with a border of woven silk ribbon wrapped over the edge and formed into bows at the bottom corners; this was very popular between 1760-1770. The circular wreath near the center bottom is accented with German silver real metal “spangles.” or hand-hammered sequins. 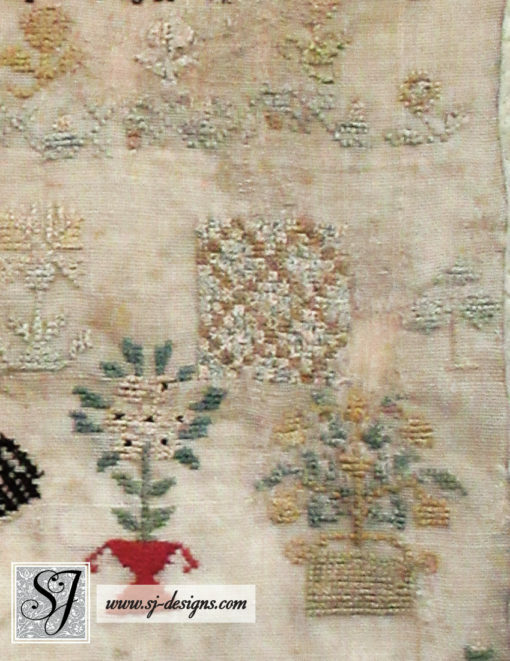 Condition is generally quite good, and the sampler is still supple and flexible. 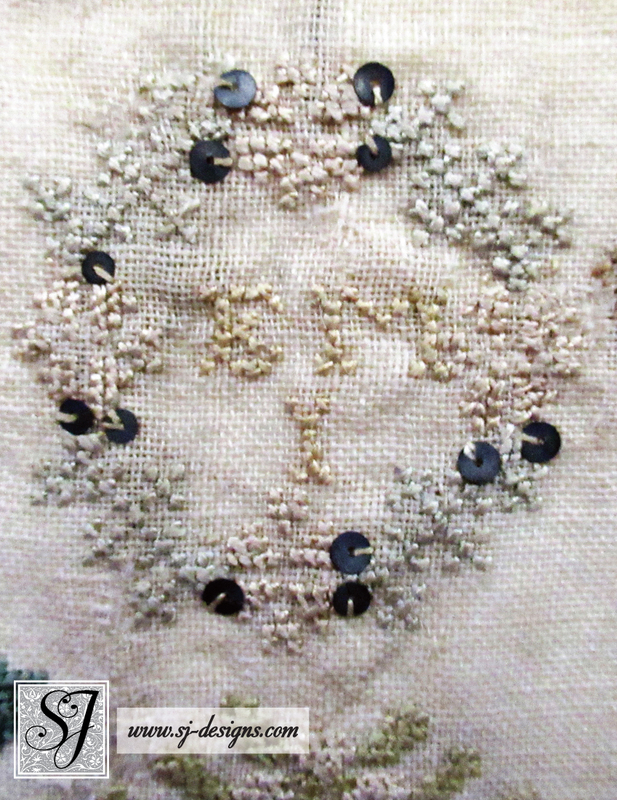 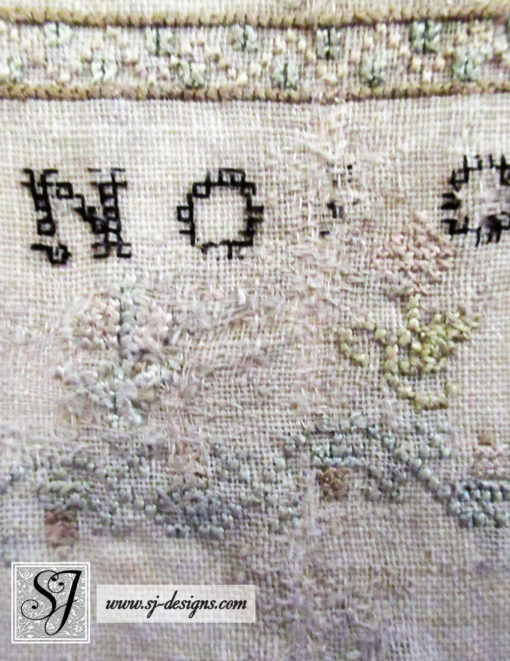 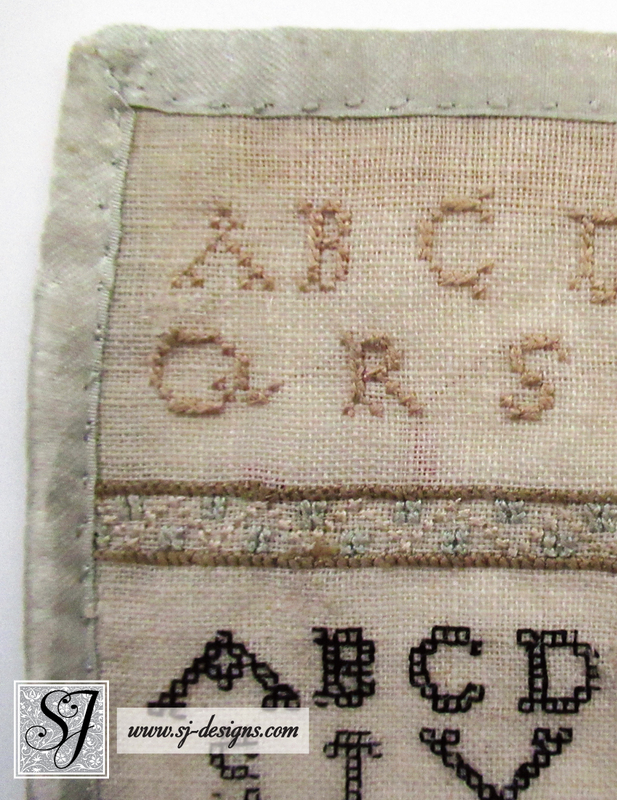 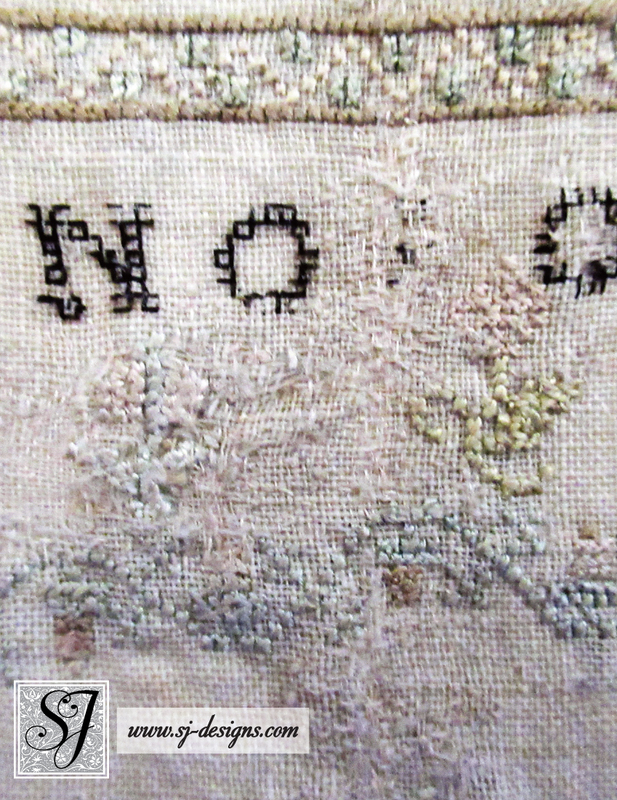 There is a little thread loss in the dark back-stitched alphabet, and a small 3mm flaw near the “E” as well as several mended areas on the upper right side. The last photo shows the reverse, where a strip of tape is still attached along the top edge just under the ribbon from a previous mounting. 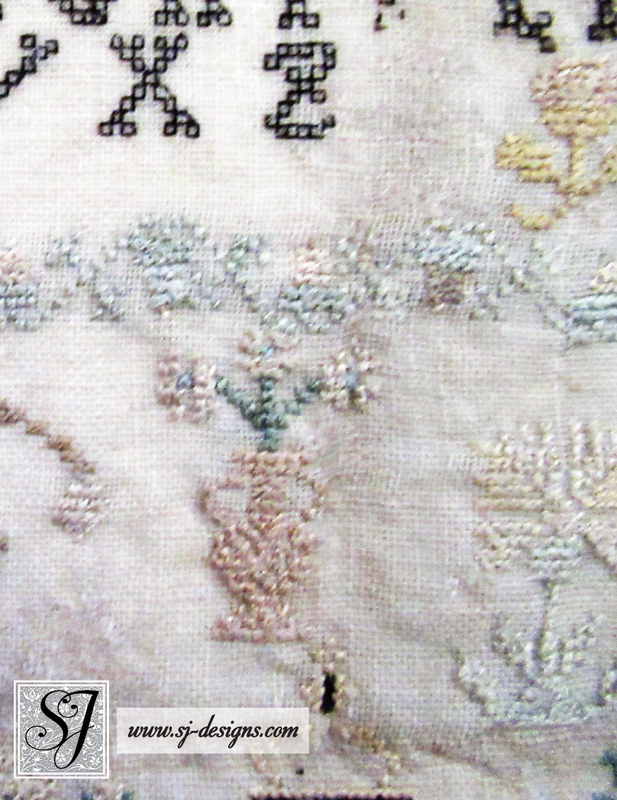 The silk thread has faded slightly. 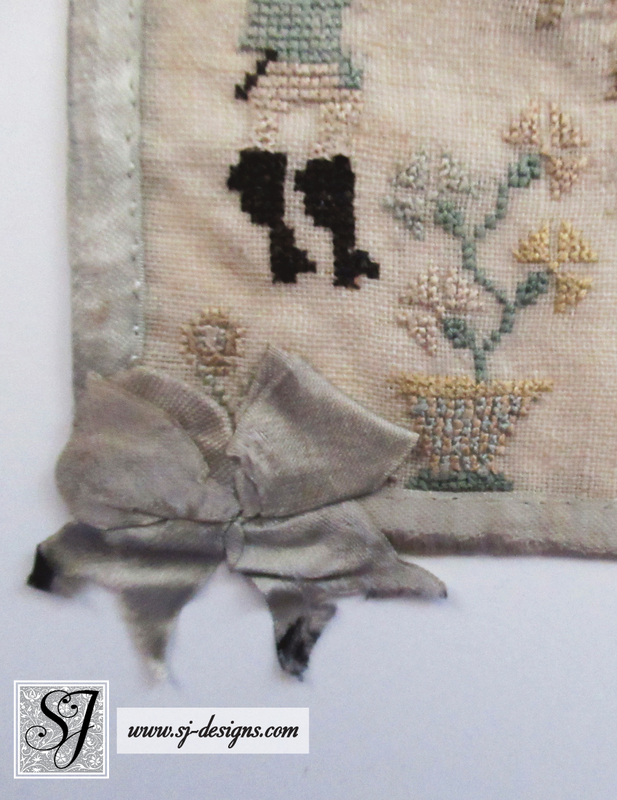 The silk ribbon is generally good with some fraying and wear along the edges, most visible along the lower right side. 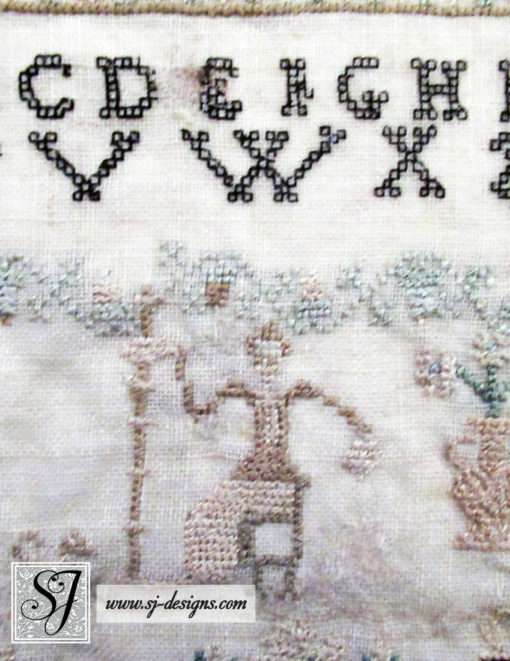 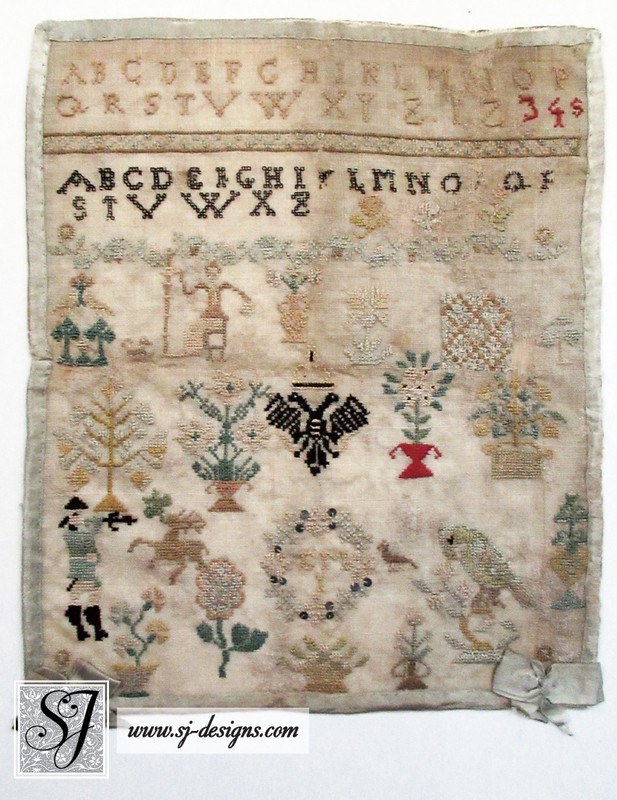 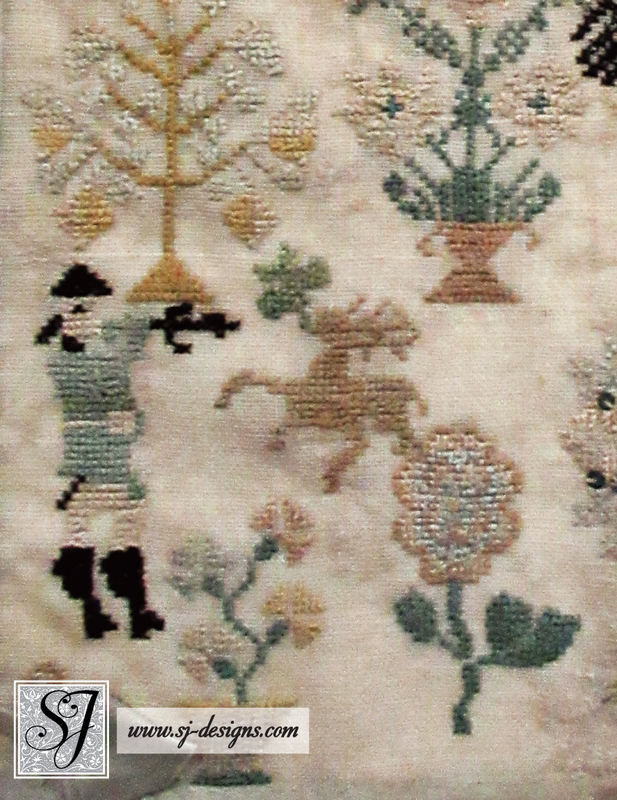 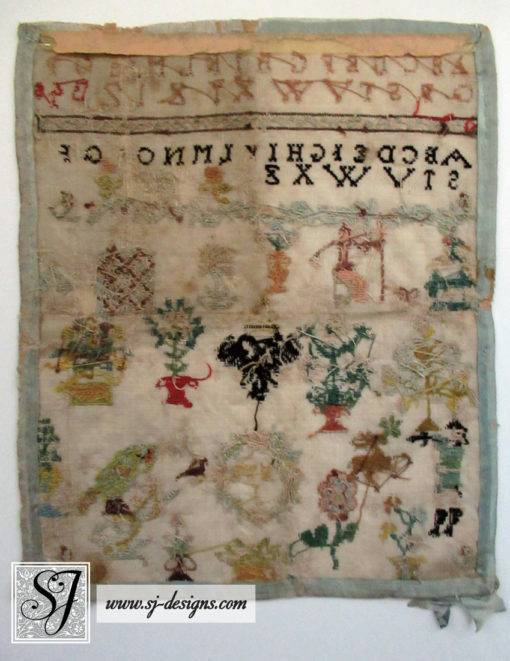 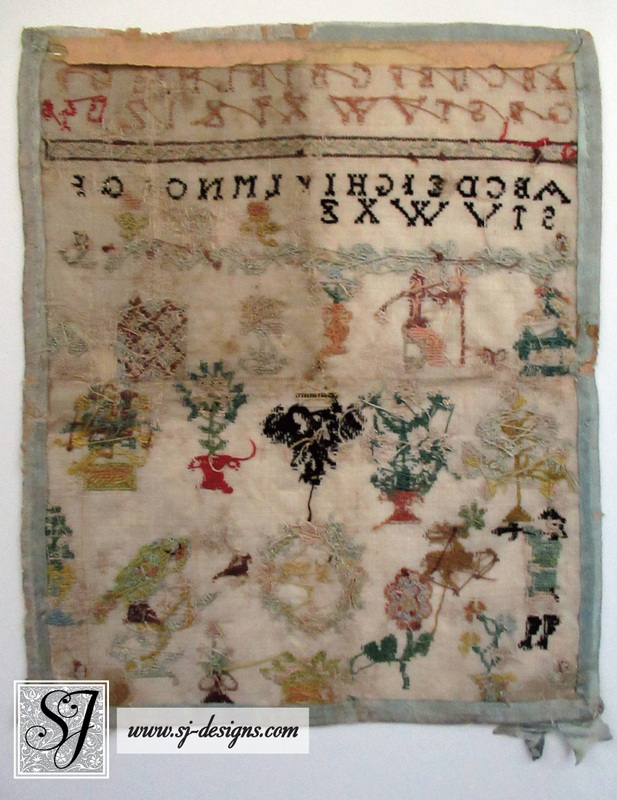 The sampler measures 9-3/8″ wide and 11″ high. 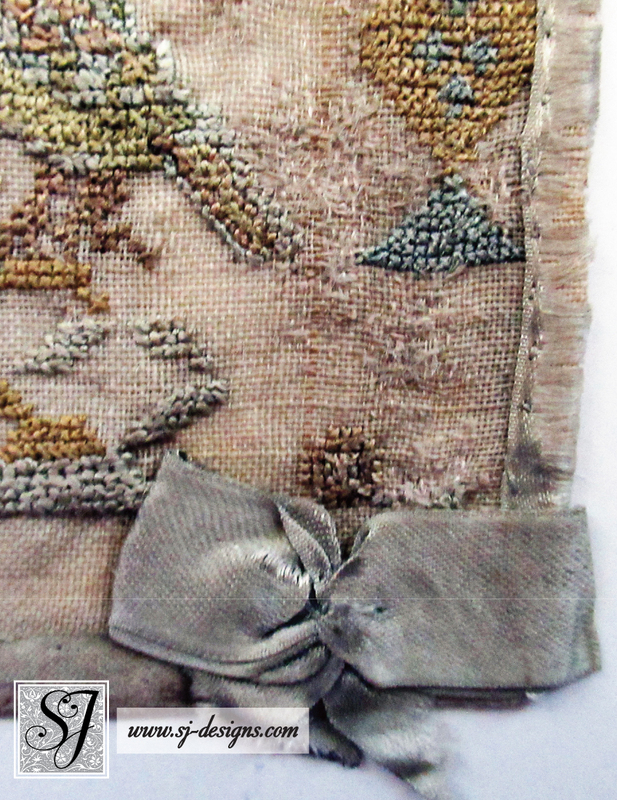 It is unframed and unmounted, and will be shipped flat. Conservation mounting is available.